A whimsical thought poem of a guy pondering his new year’s resolutions. Cast: Alex Schaefer, Ali Maclean, Beau Dunn, Bryan Moeller, Gene Rathswohl, Jason Thalas, Jen Levy Perlson, Jennifer Cohn, Kip Perlson, Kj middlebrooks, Lila Lou Fitzgerald, Maura Murphy, Tanc Sade. When Clark suspects his ex-girlfriend of stealing a sentimental painting of his, he enlists the help of his oddball friend, Paul, who leads them on a harebrained journey to attempt to get it back. 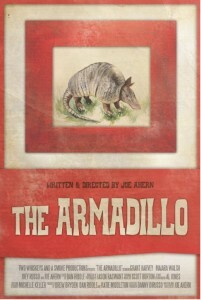 Cast: Grant Harvey, Joe Ahern, Joey Russo, Maiara Walsh, Mark Vazquez, Ronnie Rosania. After vanishing from her family’s lake house, 15 year-old Mary Solis returns without any memory of the traumatic events she experienced, and without part of her soul. Even while a shocking mystery surrounds her disappearance, and her disembodied soul begins a grim haunting, the Solis family’s biggest fear is watching Mary’s true spirit wither away. When it’s discovered that two little girls, the same age as Mary’s sister, Sophia, went missing on the lake the very night that Mary disappeared, the stakes are raised. 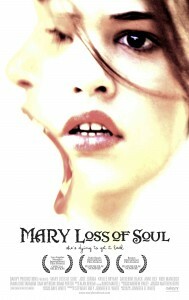 Is Mary suffering from a centuries-old condition known as Loss of Soul? Or is it something more nefarious? After enlisting the help of a Shaman, the Solis family embarks on a journey to the spirit worlds, hunting for a supernatural cure. Cast: Anne Bex, Al Cialella, Bradley Van Dussen, Braidy Nidermaier, Cailin Nidermaier, Catherine Black, Cezar Constantine, Christopher Cantu, Diana Porter, Emma Gruttadauria, Isabel McGinty, Jay Dunigan, Jerry Goodwin, José Zúñiga, Karin Crighton, Kati Salowsky, Kaylee Bryant, Kevin Peterson, Mark Cartier, Michael Turtle, Molly Devon, Nick Mancuso, Sam Myerson.